In April this year, Dubai will host Fashion Forward (FFWD), a four-day-long event that will showcase the work of fourteen + more ready-to-wear, couture, menswear and bridal designers from the region. The goal is to create a platform to showcase regional designers, educate, as well as exchange ideas to further develop the business infrastructure of the fashion industry in the Middle East. The Middle East is emerging as a breeding ground for talented artists who are celebrating their Middle East heritage with global influences. FFWD is an entirely new concept that was created after carefully studying the needs of the region’s fashion sector – the need for a trade body, the need for an initiative to collaborate with the academic movement around fashion, the need to showcase and recognize local designers, and the need for a platform which encourages learning about the business of fashion. 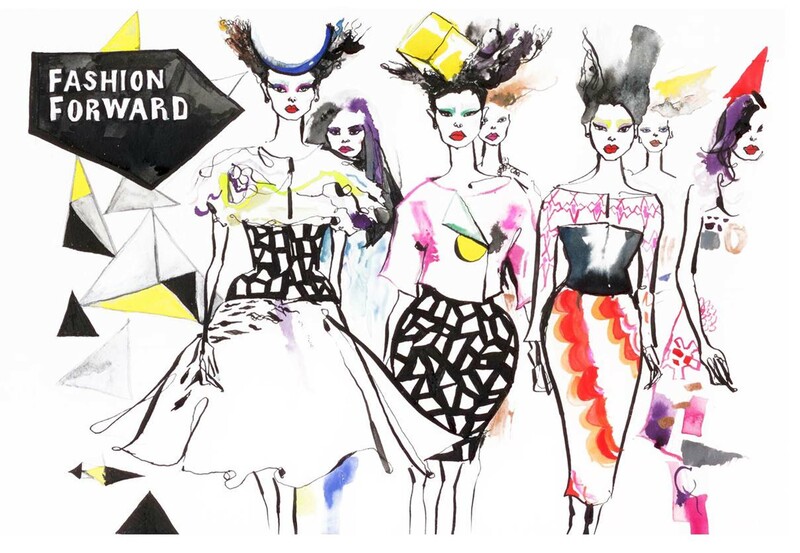 In April 26-29 2013, the inaugural launch of Fashion Forward will take place at Madinat Jumeirah, Dubai. There will be a lot of fashion excitement! It will showcase the largest collection of designs; couture and prêt collections from established designers in the region. It will be the very first time that these celebrated designers showcasing under one roof! And to name a few designers, I’m excited to tell you that Dina Jsr, Ronald Abdala and Zayan Ghandour, the three well-acclaimed Lebanese designers, are also going to showcase their prêt-a-porter and evening wear collections at the FFWD! Complementing the catwalk calendar, several forums and panel discussions will be hosted, featuring global experts on relevant fashion topics. FFWD will have fashion galleries and installations, a series of pop-up stores, VIP lounges and fashion cafes. It will also have special events and parties with fashionistas in full attendance! Cloud of Lace will be more than delighted to cover the event in full details, follow along! I wish you a lot of succes with everything ! Love the illustrations- just beautiful! just nominated you for a couple of awards! Come and see! So glad to be able to brighten your day as you you brighten mine! Looking forward to your posts on this. I’m sure there will be a ton of gorgeous outfits! It sounds very exciting! I know you’ll have a great time covering the event! Would be very interesting to see the designs and colors.Looking forward to your coverage. What a great time you are going to have. This seems so exciting! Wish I could be in Dubai for that!